Did you know that the World Health Organization (WHO) estimates that there are approximately 180 million people in the world who has a visual impairment, and about 40-45 million of them blind? At least 7 million people worldwide become blind every year. Tragically, as many as 80% of cases of blindness and serious vision loss could have been avoided. You already know that smoking is injurious to health. However, you may not know that there is a direct link between smoking and eye problems. If you are a smoker, you are likely to develop a number of eye diseases such as cataracts, macular degeneration, dry eye syndrome and optic nerve damage. If you've tried to quit before and failed, try again. Studies show that the more you try to quit smoking, the greater your chances of success. High blood pressure (hypertension) are not treated can affect vision and even lead to hypertensive retinopathy, which is damage to the retina due to blood pressure is too strong. The retina is the layer of tissue at the back of the eye. Damage to the retina causes vision impaired. Diabetes is one of the leading causes of blindness in adults. Prolonged high blood glucose can lead to diabetic retinopathy and other eye complications such as glaucoma and cataracts. When you have diabetes, it is advisable for you to eat healthy foods, check blood sugar regularly and taking medicine or taking insulin injections as instructed doctors. Protect your eyes with the food on your plate. Eat foods rich in antioxidants. Antioxidants can protect and improve eye cells and cells of the entire body from damage by free radicals. Fruits and vegetables tend to be colorful rich in antioxidants. In addition to antioxidants, particularly vitamin A is necessary for eye health maintenance. Vitamin A supports the production of eye pigment rhodopsin, which is highly sensitive to light and are used to seeing in poor lighting conditions. Vitamin A deficiency causes night blindness disease called (java: kotok chicken) where one can not see in the dim light. Carrots are a major source of pro-vitamin A. Exposure to sunlight can continually cause cataracts and macular degeneration. This is due to the ultraviolet (UV) rays from the sun penetrate the retina, causing eye damage. To prevent harmful UV rays, wear sunglasses designed specifically to protect the eyes when you're out in the sun for a long time. Glasses are generally provide UV protection up to 99% or 100%. If you work with hazardous materials, wear safety glasses to protect your eyes from injury, damage, and blindness. Wear goggles or helmet mirror when you are riding a motorcycle. Certain sports such as tennis, hockey and swimming can also harm or risk of eye damage. Wear eye protection such as helmets and goggles to protect your sport. Although eye problems are generally associated with damage or aging, eye problems can also be caused by bad habits. Focusing on a fixed distance in a long time, like staring at a computer screen or reading for hours, is one of them. The muscles of your eyes will be locked in a fixed position so that the loss of flexibility, the objects are very close or very far to look blurry. Take rest breaks and shift your gaze on distant objects to help prevent this problem. Regular eye exercises can also help restore vision and prevent problems in the future. Examples of eye exercises are alternately focus on objects near and far, as well as focusing on the same object with different angles. 7. Visit your eye doctor. Visit your eye doctor to monitor your eye health before problems arise. A visit to the eye doctor for regular checkups can be done every one or two years, more often if you wear glasses or contact lenses. Immediately visit the eye doctor if you experience eye infections or symptoms such as reduced vision, blurred vision, eye pain / redness and itching around the eyes or eyelids due to infection or chronic eye disease that can lead to permanent damage or blindness. - Adjust screen lighting gadget with appropriate levels, avoid too dazzling lighting and too dark. - Strive 20/20/20 running system, which is every 20 minutes or so turn your eyes for 20 seconds out of the screen as far as 20 feet (six meters) or in the direction of green plants. - Closing the eyes for a moment and deliver water to moisten the eye to the entire surface of the cornea. - Using a computer screen filter to reduce the radiation or the use of glasses with lenses antiradiasi. - Get used to not be in front of the screen for more than eight hours a day. 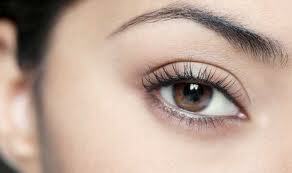 - Taking vitamin A and omega-3 fatty acids as nutrients for the eye. warehousing and storage services in bangalore. Thanks for posting these eye health tips. After noticing that my vision isn't as sharp as it used to be, I've been feeling worried about how to keep them healthy. You said that staring at a computer screen for long periods of time can cause damage to eyes, so I should limit my screen time. I like to spend my free time on my computer watching videos and reading interesting articles, so I should at least try to shift my gaze so that my eyes aren't looking at the screen for hours without taking a rest. Eye vision should be cared by proper diet and through exercise. According to latest findings, Beta-Carotene is the only compound, present in Pure Goji Berry Juice, which can maintain good eye-health for longer period of time.